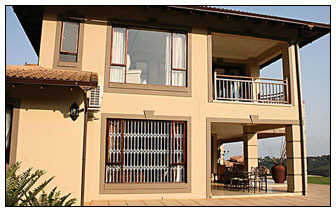 Xpanda Burglar Guards - a comprehensive range of quality anti-burglar guards which provide security for windows. When you are considering the security of your home, the most important aspect should be to control who has access to your home and property. Whether we like to admit it or not, crime is one our largest concerns and we must take every precaution to ensure the safety and security of our homes and families. 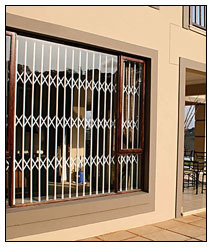 Traditional security gates and burglar bars do offer you protection to a certain extent, but will not offer you all the benefits and security of our quality burglar bars. Xpanda burglar guards can be made to fit in any space. You can also keep your windows wide open allowing light and air to flow through your home, knowing that the Xpanda Burglar guards are keeping the home secure. High quality burglar guards are able to withstand high pressure. Whatever your home security requirements, these burglar bars will provide window security and help make your home a safer place to live. If you are security conscious and have your family's safety as a priority, contact us to find out more about these burglar guards.